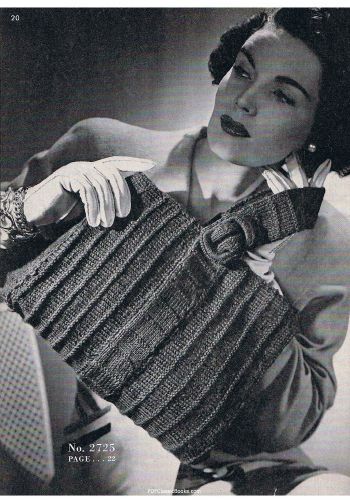 Originally published in 1945 by The Spool Cotton Company, this crochet pattern booklet features 17 beautiful handbags and purses in various shapes and sizes for you to crochet. All patterns come with complete instructions. 17 Handbag & Purse Crochet Patterns Book bags;crochet;patterns 149354834 3.75 craftdrawer Fresh Download Available!